As the custodian of State land and properties, the Singapore Land Authority (SLA) seeks to maximise land resources to serve the nation’s economic and social needs. To this end, SLA provides an efficient land management system that augments the city-state’s capability to design multi-faceted solutions to solve the complex challenges in the land-scarce country. In addition, SLA embraces technological innovation to further its mission and bolster Singapore’s Smart Nation drive. It is currently developing the first 3D map of Singapore which enables the city-state to improve risk management, facilitate collaboration and enhance decision-making for city planning and urban solutions. 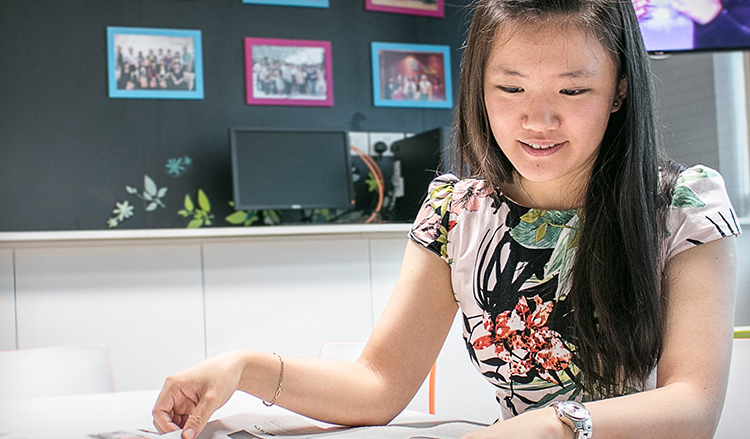 To find out more about SLA’s work, we speak to Gao Siqi, Principal Executive of Tenancy Management, who is also a recipient of SLA Undergraduate Scholarship. What sparked your interest in applying for an SLA scholarship? Calling Singapore—a nation with one of the highest population densities in the world—as home, I have always been fascinated with how our country manages her land scarcity issues. This sparked my interest in pursuing a scholarship opportunity with SLA, which has the vision of “Limited Land • Unlimited Space”. How was your internship experience with SLA back when you were an undergraduate? I interned in the Finance Department before I entered university. My main responsibilities were in financial reporting, such as the vetting of the annual report against actual data. I became acquainted with the various responsibilities in the Department, which helped in my accountancy studies, as well as got to know the colleagues who make sure that SLA is running smoothly. What are some of your memorable experiences so far in SLA? One interesting episode involved being the emcee for SLA National Day Observance Ceremony 2016. It was quite a fun experience as I have never been an emcee before! It is wonderful that SLA has given us a wide variety of experiences to improve both our technical and soft skills. What do you find meaningful about your current roles and responsibilities in SLA? I am currently managing tenancies of the public sector including public hospitals and polyclinics. With the increasingly aging population in Singapore, the hospitals are developing multiple projects to cope with the increasing demand for medical services, resulting in more complexities in the hospitals’ tenancies. It is heartening to know that SLA Tenancy Management has played a part in streamlining the rental procedure for the hospitals over the last year. Any advice for aspiring SLA scholars? An SLA scholar should possess the P.A.H. qualities. P for passion, A for adaptability and H for humility. Passion is what drives a person. Adaptability is the ability to adjust to new conditions and changing times. Humility is what makes a person humble towards the world out there since there is always so much to learn and improve on. These are the qualities which cannot be learnt and are becoming more necessary for leaders.